Sachet, is also named as “body sachet”, “perfume sachet” and “perfume cloth bag” etc. Sachet, is also named as “body sachet”, “perfume sachet” and “perfume cloth bag” etc. A few days ago, the activity “Beautiful China •The Year-end Party of Silk Road Tourism Year and Jiangsu Evening of Tourism” was successfully held at Fukuoka, Japan, at which the Mazhuang sachets of Jia Wang from Xuzhou was concerned and became a hot topic for exchanges and communication in Sino-Japan tourism and news communities. 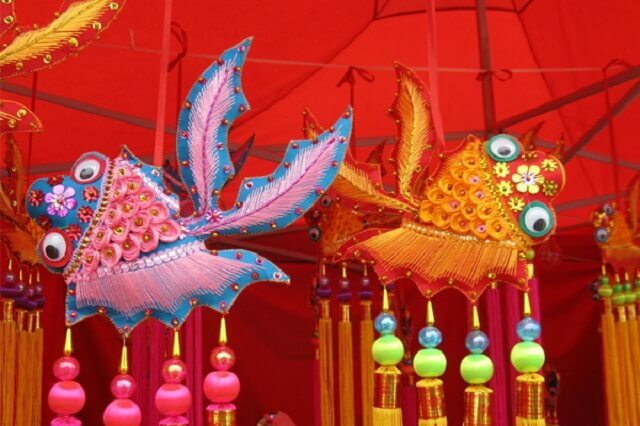 In 2008, Xuzhou sachet was selected into the extended program list of the first batch of state deginated intangible cultural heritage. Its history can be dated back to the Warring States Period during which sachets were made by top brocade and wrapped with such perfume as sweet grass rootstock or mixed with magnolia wood etc. Going through the Tang and Song dynasties, sachet had become a token for love in the Ming and Qing dynasties and it was once very popular to have sachet as accessory. By evolving for several thousand years, gradually Xuzhou sachet craftwork has been formed with Xuzhou local characteristics. The sachet craftwork is quite particular, esp. it requires very delicate embroidery with diversified patterns that are very vivid, not only include blessing propitious graphic languagewith implied meaning of folk customs, but also have very concise and exaggerated patterns of flowers and grass, full of very high craftwork value. Also it has the medical value: based on the recipe handed down from ancestors, the sachet makers will select dozens of crude drugs that emit natural perfume and also have the function to nourish vieal spirit and avoid evil spirits from the TCM treasury, which become the main raw materials of sachet by special processing and it also becomes the neccessity for common people in their daily life. 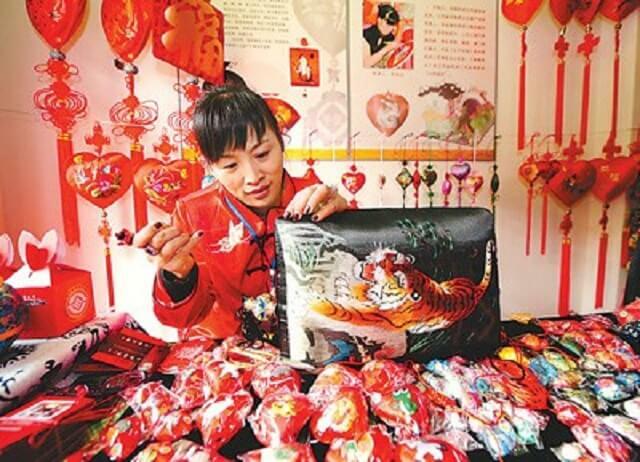 In view of the content of Xuzhou sachet, mostly it is dominated by festival and propitious subjects,such as prosperity brought by the dragon and the phoenix, longevity crane in pine tree and pied magpies twittering in plum blossom etc. , leaving with people’s desire to bless auspicious sign, avoid evil spirits and enjoy happiness from life, have ample food and clothing etc. 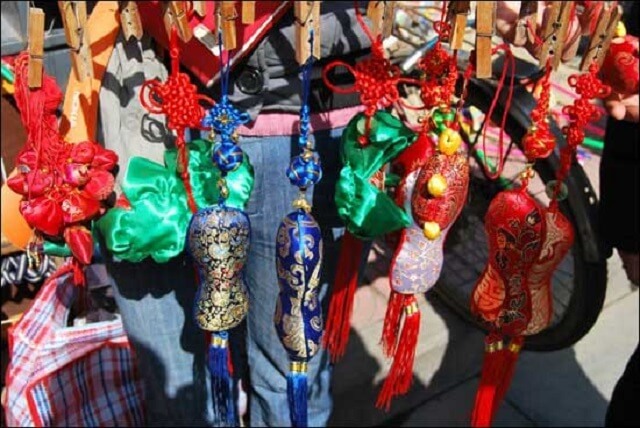 With the development of economy and the increase of people’s living level, Xuzhou sachets are also made with the subjects as traditional opera figure facial makeup , the cloth bag monk(bringing in wealth), Kylin bringing woman to get pregnant, good fortune given by Kwan-yin, culture of the Eastern and Western Han dynasties, cartoon moppets etc., catering for the present people better. In general, Xuzhou sachet is very vivid, concise, crude, primitive and decorative, the local embroidery is very delicate and fine, brings out the best in each other with both appearance and spirit. This is quite similar to the art style of Xuzhou local Han Dynasty stone relief.